It seems like no matter where you go these days, or who you’re with, you can’t escape childhood picky eating. Maybe it’s one of your kids, a relative or a friend’s kid. Whatever the case, I can say with confidence that you have a child in your life who is described as “a very picky eater.” There are many theories as to why the numbers of picky eating children are increasing, but that’s a story for another time. 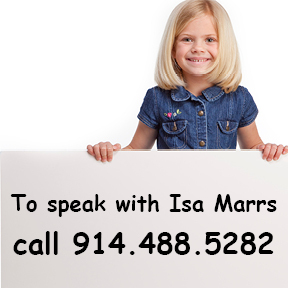 What I hope to do here is to give you some advice that could help the picky eater in your life to be more adventurous. If you have done any reading on the topic of picky eating, I’m sure you have read that children require several exposures to a new food before they will eat it. This is something almost every parent of a picky eater tells me they have tried, and failed at. The idea is that if a child gets enough exposure to the food they will eventually eat it. This method will often work with children under 18 months because each eating day for kids this young is like waking up in a new food world. What looked completely disgusting on Monday may look absolutely delicious on Wednesday. However, once children are older than 18 months, putting a hated food on their dinner plate repetitively is very unlikely to end in them eating and enjoying the new food. This is especially true when there have been battles over the food in the past. While having repeated exposure to a hated food might not get a child to eat it, it is often a necessary step in the process. For example, if a child refuses to leave a carrot on his plate and won’t even touch it, you can forget about him eating it. That’s why, at the beginning of feeding therapy, I often tell parents to put disliked foods on their child’s plate during mealtimes. However, it is important that they not ask their child to eat the food. The eating part is a little trickier, as you would imagine. With feeding therapy, often the first goal is teaching a child to tolerate being close to hated food items. This may mean being able to sit next to a family member who is eating the food. It is pretty easy to see why this type of newly learned tolerance can be life changing to a child, and a family, even without teaching the child to eat anything new. When it comes to eating a hated food, repetition remains extremely important. When treating picky eaters, I always give tasting homework. I also recommend that it be done outside of mealtimes. But here again, if it’s a food your child can’t tolerate looking at, don’t expect him to taste it. One of the most detrimental mistakes parents, and many therapists, make is to push too hard. You do not want to make mealtime a battle. While you may occasionally win the battle, you will lose the war. The better approach is to focus on decreasing your child’s fear and anxiety for a food item. Small repetitive tastes over time will help with this. It should help your child realize that nothing bad comes from tasting. When this happens, the child slowly becomes desensitized to the food. You may be thinking, “This will never work with my child!” And you might be right—to a degree. Sometimes this WILL NOT work without feeding therapy outside the home. Years of battles and distrust may have built walls that are impossible to bring down in the same environment they were built. This is where feeding therapy comes in. Oftentimes kids need to be free to taste without all the “baggage” that comes with trying new foods at home. Most kids want to conquer their fears, but conquering these fears with the eyes of the family on them may be too much pressure. The opportunity to make changes, and achieve goals, outside of the home makes a huge difference for some kids. Parents are often surprised by how quickly their children will start to eat foods in my office. However, just because a child will eat something in my office does not mean that he’s going to go home and eat it. 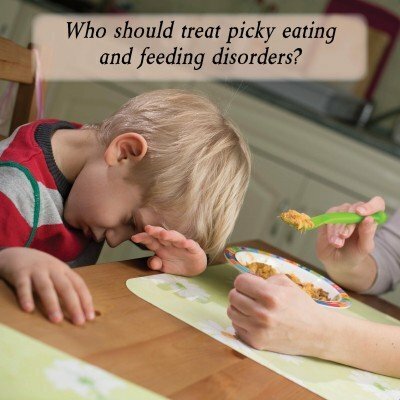 It often takes several weeks of therapy sessions before a child will eat the food at home. It takes time for a child to begin to feel safe trying the food in their own home. If you have a picky eater in your home, it can be very difficult to understand. It can also be extremely frustrating. But don’t let these feelings create battles that you can’t take back. Of the many strategies that I teach to make children “better eaters,” fighting is never one of them. I know that this can be a very difficult urge to suppress. However, you cannot win the battle over food. While you may be able to imagine and implement all sorts of punishments, you cannot shove food in your child’s mouth and make him swallow. And you cannot force him to like something. Helping a picky eater to become a healthy eater is not easy. It takes a tremendous amount of patience, and it is not something that should be forced or rushed. However, that doesn’t mean it is not possible to help a picky eater. With the right approach, and possibly feeding therapy, any child can expand his or her diet and begin to enjoy eating more foods.